We can’t believe the holiday season is HERE and the new year is basically tomorrow, what?! 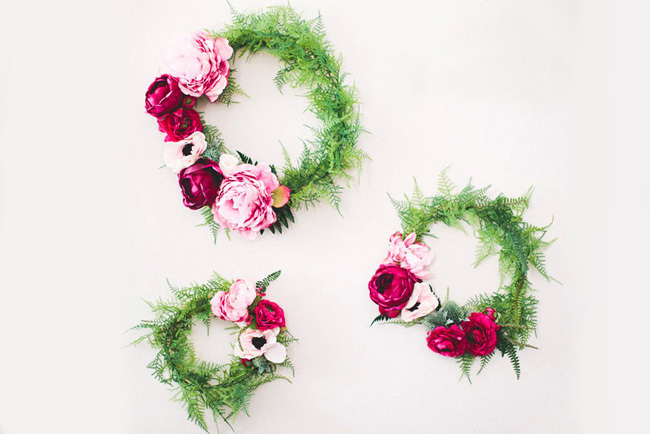 With all the fun holiday parties we know you have planned, we wanted to share a versatile floral DIY that you’ll love. 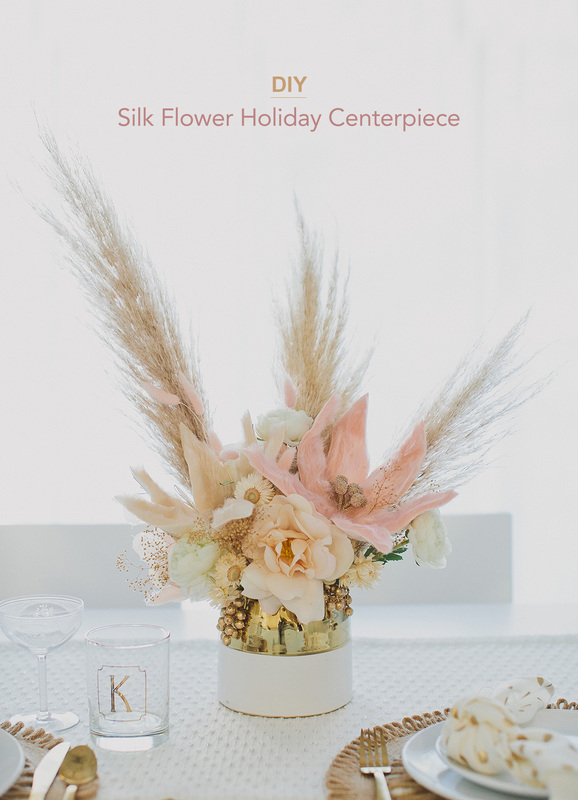 Thanks to the help of Afloral, we created a fun, bohemian-inspired holiday centerpiece you can don on your best dining table spread! And after? We are sharing how you can repurpose it for another every day look around the house! The best part is that all Afloral flowers are made of silk, look realistic (well, except those AMAZING velvet poinsettias – but how rad are they!?!) and never die! 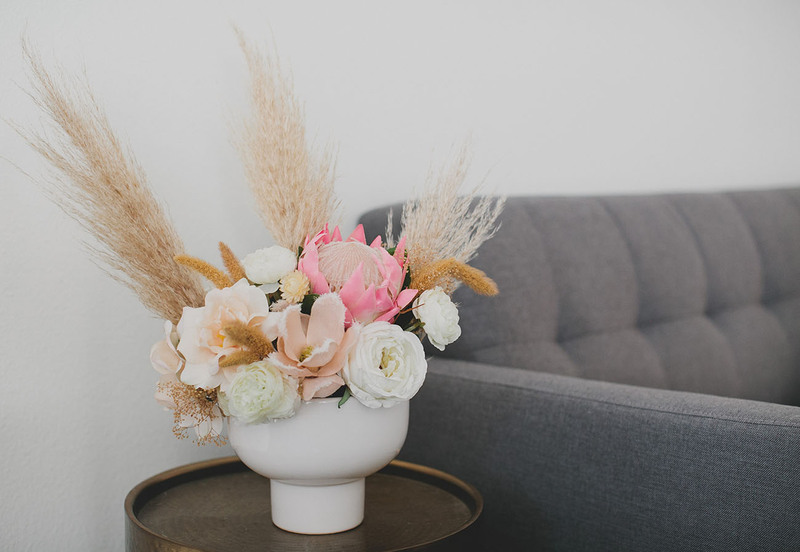 So many possibilities for this one and we think you could change up the flowers for every season! 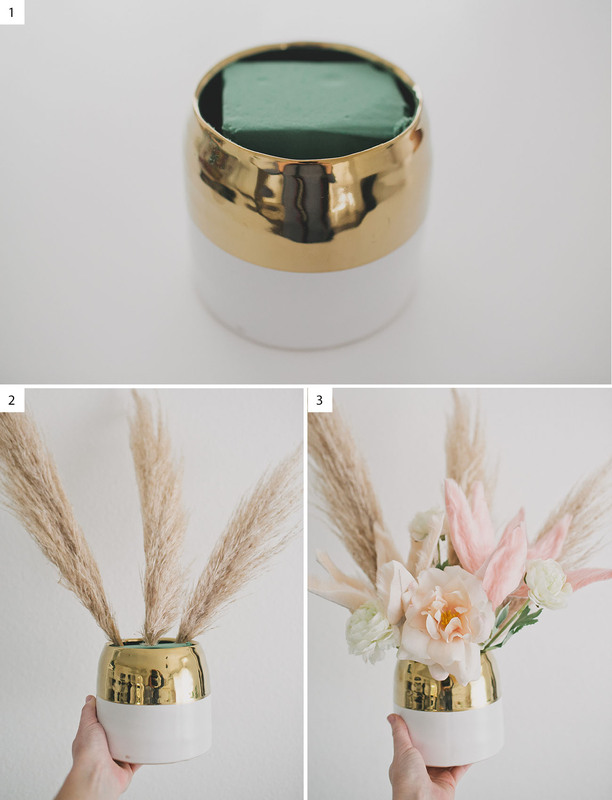 Step 1: Start by cutting down a piece of floral foam to fit into your vase. This will serve as a base for your flowers to be held in. Typically florists use wet foam to keep fresh flowers watered, but with silk flowers a dry foam will work just fine! Step 2: Next, add in your pampas grass or foliage and create a shape you like. Step 3: To finish, add in your large to medium flowers followed by fillers and other fun floral choices to fill out the centerpiece. Use your own judgement here to create something you like! We find that placing the largest flowers first (poinsettia) sets up a good framework for how the rest of your centerpiece will look and where to place the other smaller fillers, like starflowers or ranunculus. 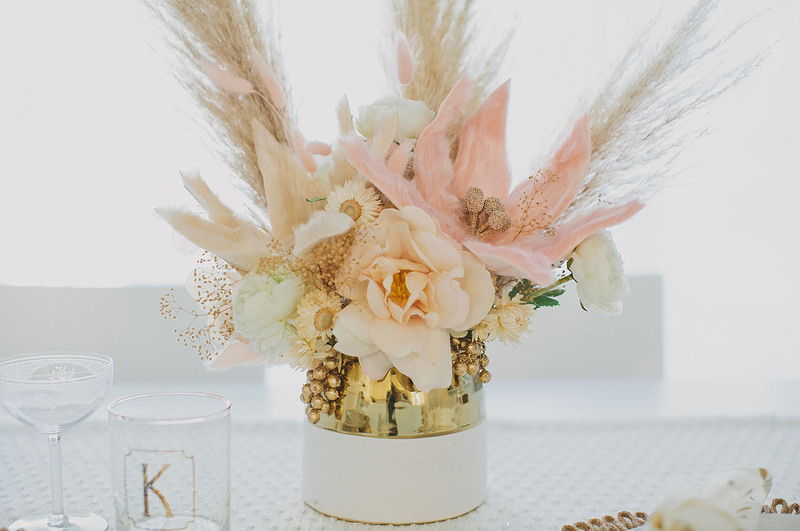 We love this funky boho holiday version for a centerpiece! 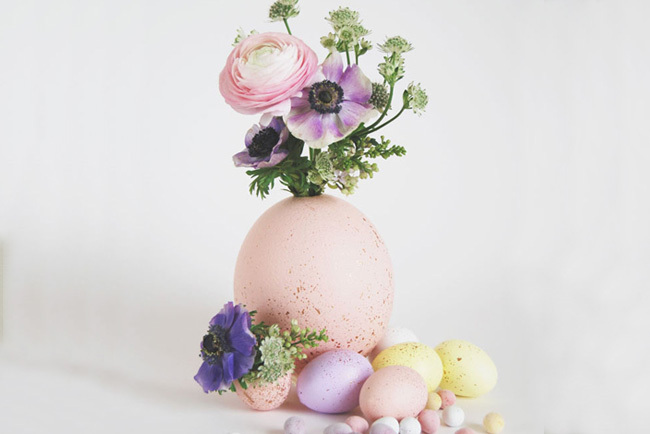 We kept the same base of flowers and transported them with the floral foam to our other white vase. Since the poinsettia, berries and other holiday florals are seasonal, we replaced those with king protea, garden roses and a few other dried flower varieties! 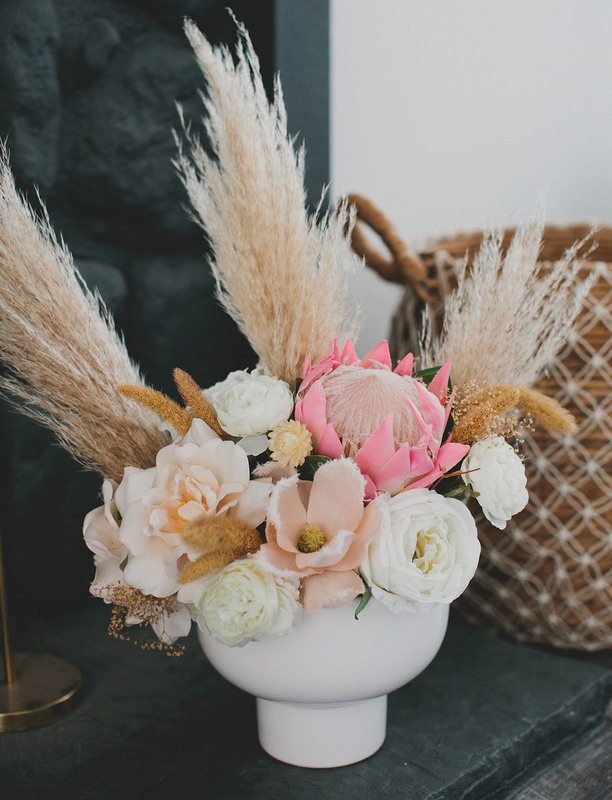 This gave the centerpiece a whole new look so you can enjoy year-round! And there you have it! 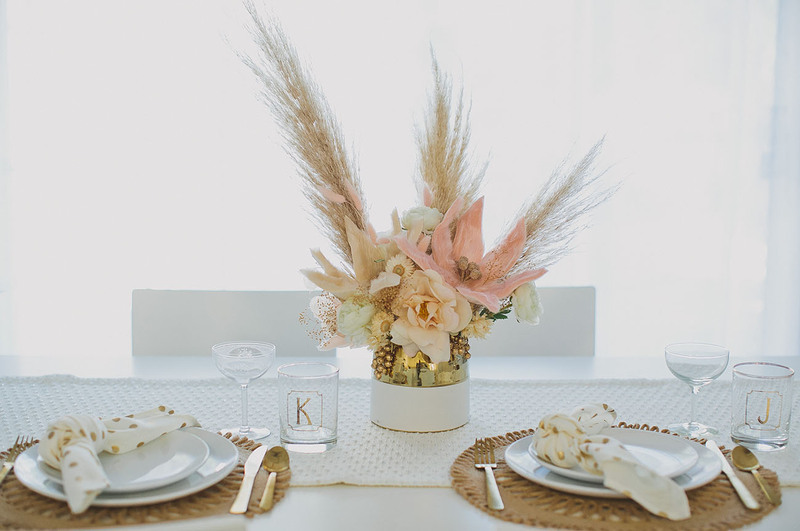 One centerpiece, two ways! 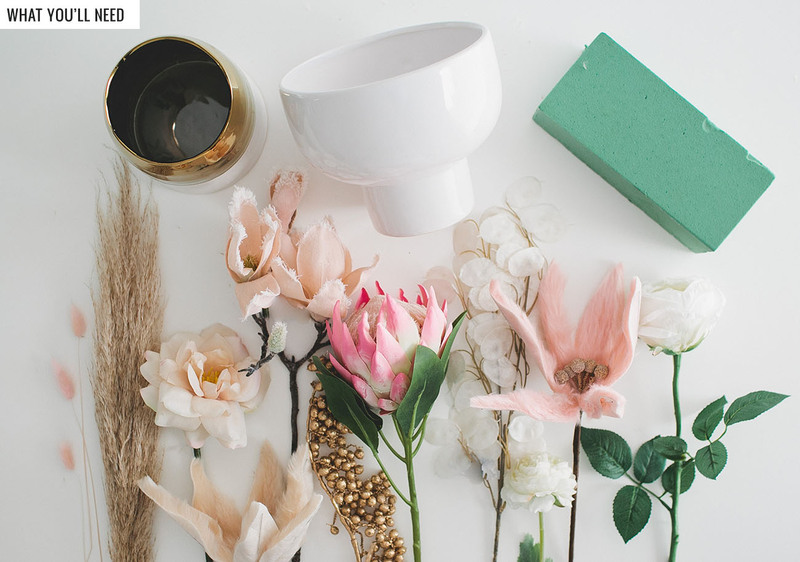 If you make your own holiday centerpiece with AFloral using these steps or supplies, we’d love to see how it turns out, so please share on Instagram along with the hashtag #GreenWeddingShoesDIY. We’ll regram our faves! 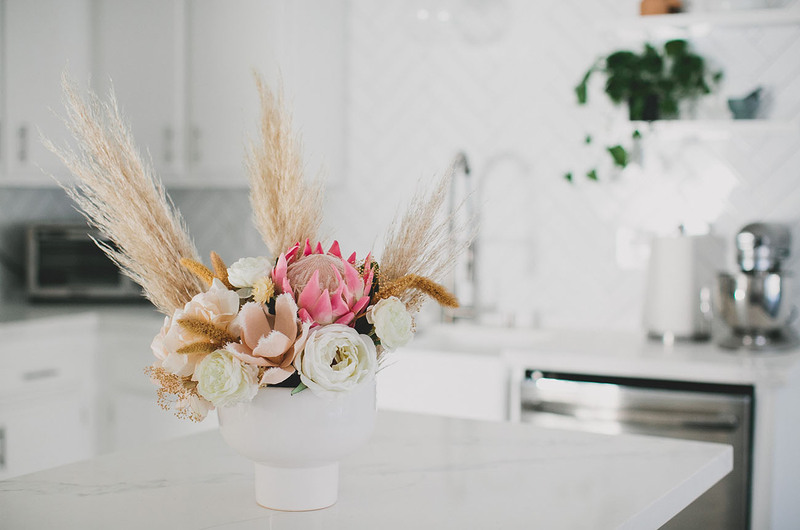 More and more couples are looking for ways to personalize and also cut costs, and I absolutely love this simple DIY idea. 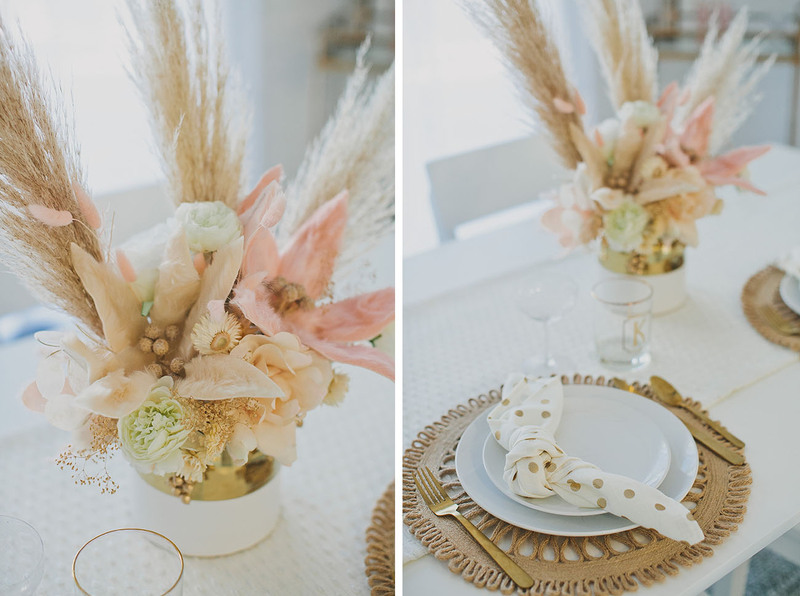 The gold is a great choice for a winter wedding!